I went to Mancini Modern Italian in Fort Lauderdale not too long ago and was blown away by the food! Check out my review of the restaurant on MunchThis.net or read the article below. Let me know what you think! When you visit an Italian restaurant, it is often the case that the same, cookie-cutter menu is in place – pastas, pizzas and a few “original” antipasti. The opposite is true of Mancini Modern Italian in downtown Fort Lauderdale. Restaurateur Jack Mancini has done it again with this contemporary Italian spot. Located on East Las Olas Boulevard, Mancini Modern Italian is warm and inviting, with a chic décor and illuminated indoor-outdoor bar area. As far as the food, when creating a dish, fresh and local ingredients constantly inspire executive Chef Claudio Sandri. Sandri worked alongside celebrity chef Roberto Donna for more than eight years at the acclaimed Galileo restaurant in Washington D.C. before working at the previous Mancini restaurant in Las Olas. Did I mention he and chef Donna were on an episode of Food Network’s “Iron Chef” and the duo reigned supreme against esteemed chef Masaharu Morimoto? Impressive. Very impressive. “Although the restaurant specializes in authentic Italian cuisine, we’re trying to take another road and see how to change it a little bit – whether it’s the plating, the presentation or something else,” he said. While on the topic of the not-so-standard Italian restaurant, Mancini Modern Italian offers hand-pulled mozzarella, freshly made tableside, served alongside a thick fig and balsamic vinegar jam. Freshly made mozzarella right before your eyes! 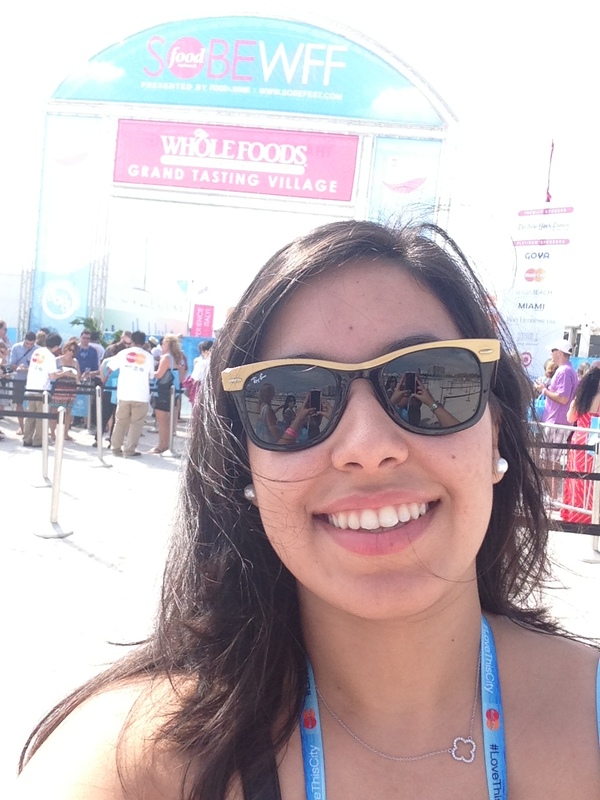 I am unbelievably excited to be attending the South Beach Wine and Food Festival (SOBEWFF) this year! I’m going to the Whole Foods Market Grand Tasting Village on Saturday and Sunday and I hear this event is one of the highlights of the festival. I worked a couple of events last year as a press and media associate and I absolutely loved it.